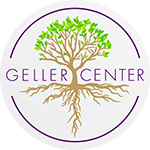 Now inviting Geller Center alums, professionals, and older adults to become Geller Guides. Geller Guides share their life experience, knowledge, and skills to support our young adult Geller Leaders. Interested in becoming a Geller Guide? Join us at an upcoming Food 4 Thought or Cooking Group to meet the Geller Leaders and contact Darrick Hildman, Program Director at programdirector@gellercenter.org to learn more.